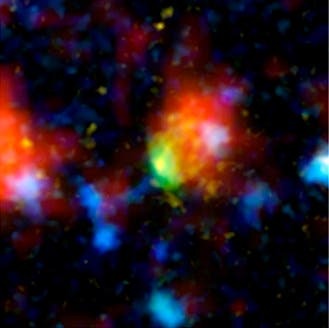 In sync with atomic physicist Neils Bohr's famous comment about a colleagues crazy theory that "it's crazy, but maybe not crazy enough to be true," an eminent physicist has developed a theory that gamma ray bursts that occur at the fringes of the known universe and appear to be associated with supernovae, or star explosions, in faraway galaxies, are actually massive beams of high-energy photons from alternate universes that spray the galaxy in arcs, like cosmic death rays as black holes rotate. The new theory suggests that our universe is located within the interior of a wormhole which itself is part of a black hole that lies within a much larger universe. That sounds crazy enough to us (and equally fascinating). According to Indiana University physicist Nikodem Poplawski, the matter that black holes absorb don't condense into singularities. Instead, they burst out the other side and become the building blocks for whole other universes in another reality. In short, our Big Bang popped out of a black hole from another, much larger universe. Poplawski proposes that the bursts may be discharges of matter from alternate universes. The matter, he says, might be escaping into our universe through supermassive black holes-wormholes-at the hearts of those galaxies, though it's not clear how that would be possible. Poplawski uses Euclidean-based mathematical modeling to suggest that all black holes may have wormholes inside which exist universes created at the same time as the black holes. In studying the radial motion through the event horizon (a black hole's boundary) of two different types of black holes — Schwarzschild and Einstein-Rosen, both of which are mathematically legitimate solutions of general relativity — Poplawski admits that only experiment or observation can reveal the motion of a particle falling into an actual black hole. But he also notes that since observers can only see the outside of the black hole, the interior cannot be observed unless an observer enters or resides within. "It's kind of a crazy idea, but who knows?" he said. We think it just might be crazy enough! 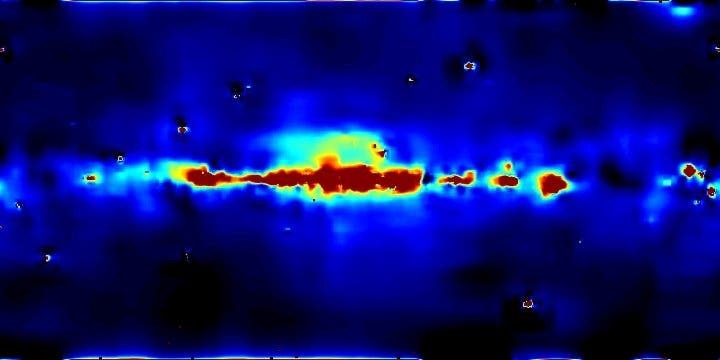 This scenario in which the universe is born from inside a wormhole (also called an Einstein-Rosen Bridge) is suggested in a paper from Indiana University theoretical physicist Nikodem Poplawski in Physics Letters B.